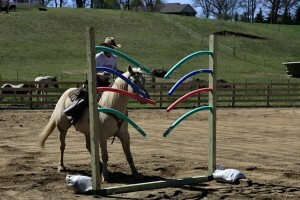 This weekend Saturday, May 23, we will be hosting an Obstacle Course here at our ranch. It will start at 10 am and go all day. Its $25 a horse for the whole day, all the proceeds go to Wears Valley Ranch. Come out for a fun day at the ranch! If you don’t have a horse or just want to come watch, your more than welcome as well. Also, boarder are free! That is just one of many awesome advantages that our boarders have!